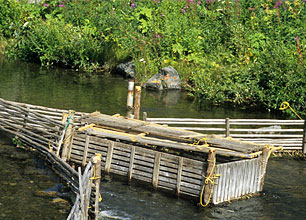 Salmon may be released to allow an angler to capture and keep a larger fish. Some anglers only catch and release fish. The effects of catch and release to fish will vary. The effects will depend on the angler’s skill in landing, handling and releasing it. A strong, healthy fish will be better able to withstand additional stress than a fish in poor condition. The effect will be greater when fish are already stressed from environmental conditions such as warm water temperatures. When a fish is captured and released more than one time the effects will be cumulative.